My Wine of the Month for November is Simonsig Redhill Pinotage 2010. Not old enough to have reached its peak, but absolutely scrummy now. Complex flavours of plum and black berries with a stiffening of tannins and a beautiful silky texture that caress the throat. 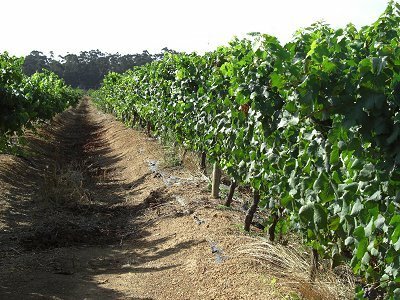 The Redhill comes from a vineyard growing on a low hill of red soil that rises behind the winery. Redhill Pinotage is consistently good, and a deservedly regular winner of Top 10 and other accolades. Earth's Essence is a new brand from KWV which uses a pioneering patented method of fermenting with Rooibois and Honeybush woods instead of adding SO2. Winemaker Louwritz Louw says "“The grapes are harvested at optimal ripeness after which they are de-stemmed and crushed into the fermentation tanks. The fermentation, with Rooibos and Honeybush wood, is done on skins. The wine is removed from the skins and pressed earlier than usual to prevent the extraction of hard tannins. In order to keep the wine sulphur free, it is also matured with wood from the indigenous Rooibos and Honeybush. After maturation the wine is fined, filtered and bottled." 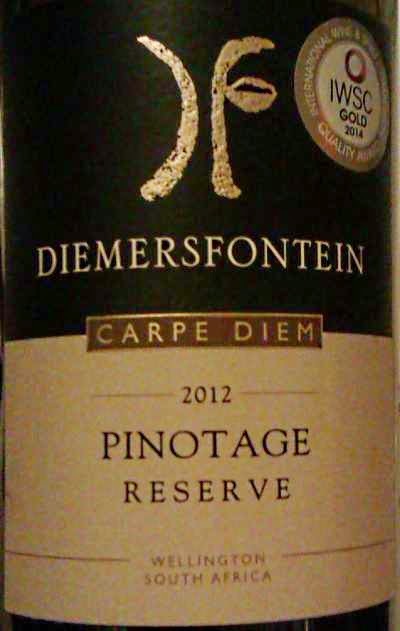 Diemersfontein won this year’s International Wine & Spirit Competition Abraham Perold Trophy for Pinotage, sponsored by The Pinotage Association, for Diemersfontein ‘Carpe Diem’ Pinotage Reserve 2012. Opaque with tight, bluish rim. Powerful, rich, full fruited nose with ripe dark berries, plums, vanilla and coffee. Bold entry into the deep, full flavoured mouth. Flavours of dark cherry black berries, lots of vanilla, leather and more coffee. Intensity develops all the while in the mouth. Incredibly smooth flow and fine tannins. Well supported by spicy oak. Very palatable now yet lots of development to come. Diemersfontein owner David Sonnenberg accepted the trophy from Peter May, representing The Pinotage Association, last night at the International Wine & Spirit Competition Banquet in London’s Guildhall in the presence of IWSC President Laura Catena and Chairman Viscount Thurso. It was a good night for South Africa. And South Africa’s Dave Hughes was awarded the Lifetime Achievement Trophy. Back now and recovered from my journey to Charlotte-Concord, North Carolina to present at the American Wine Society National Conference 2014. On Friday 31 October I ran a seminar on South African Chenin Blanc, covering its history, how it came to be called Steen and how its true identity was discovered, why there’s so much of it in the Cape and what its characteristics and we tasted four, Van Loveren ‘No. 5’ 2014, Bellingham ‘The Bernard Series’ Old Vine 2012, Mullineaux Family Wines ‘Kloof Street’ 2013 and DeMorgenzon Reserve 2013. 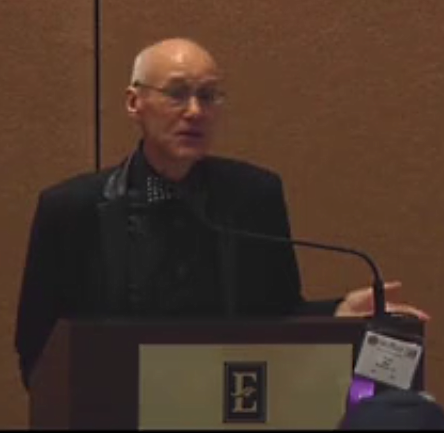 This session was filmed and will be available to AWS members. Saturday 1 November it was Pinotage’s turn in the spotlight. I looked at its history, places in the world growing it, its reputation, styles and the making of it. We tasted Beyerskloof Reserve 2012, Bellingham ‘Ancient Earth’ 2013 (blend with 20% Shiraz), Bellingham ‘The Bernard Series’ Bush Vine 2013 and Kanonkop Estate 2012. Both sessions were filled to their 80 person capacity and this was a great opportunity to show South Africa’s two iconic varieties to an audience for many of whom this was their introduction to one or both. Feedback on the wines was overwhelmingly positive. I am very grateful to Jim Clarke of Wines of South Africa USA for his help in contacting wine agents in the USA, Ina Smith of the Chenin Blanc Association and the following distributers who contributed wines to the sessions: Alba Botha – Cape Wine Match, Molly Choi – Cape Classics, Alister Glen – DGB and Fran Kysela – Kysela Pere & Fils Ltd.
Pinotage won Best Red Wine at this years annual American Wine Society competition it was announced today at the National Conference awards luncheon held in Concord, North Carolina. 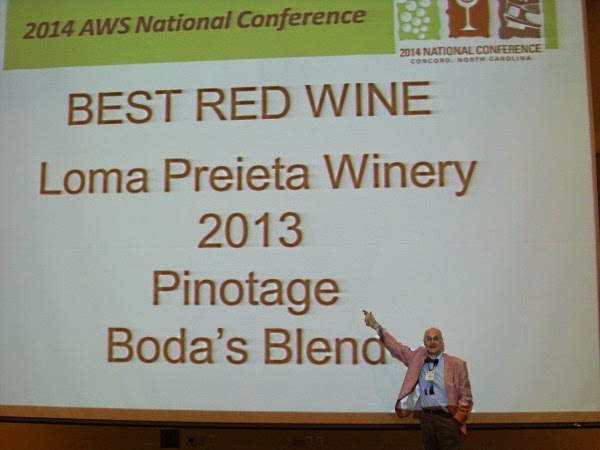 The winning wine was California's Loma Prieta winery 2012 Pinotage 'Bodo's Blend'. Loma Prieta owner Paul Kemp told me "Sometimes life is full of surprises. Bodo is the person on our label. A medieval magician. This wine is about 20% Petite Sirah from Amorosa Vineyard and 80% Karma Pinotage. They are both 2012 and from Lodi. This is great news and publicity for this wonderful grape. After all the years you have devoted to covering and promoting this grape, it is almost ironic that you were present for this special award. 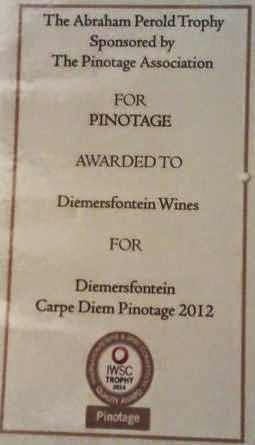 I am not aware of a Pinotage winning a best of show in a wine completion in the US and to win this award in in the American Wine Society Competition is very special." I am attending the conference and presenting sessions and tastings of South African Pinotage and Chenin Blanc. 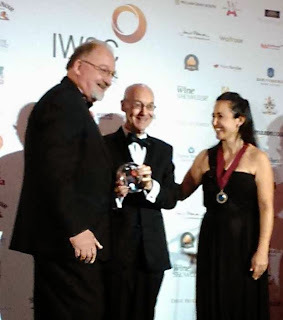 I was surprised and delighted when the winning wine was declared and I couldn't resist having my photo taken in front of the giant screen, although unfortunately they misspelled the winery name as well as showing an incorrect vintage.